The holder is made of BRIAR wood with an ebonite mouthpiece. There is a built-in cooling filter which provides a holder with means for cooling the smoke. Thanks to this filter the pleasure derived from smoking is improved. 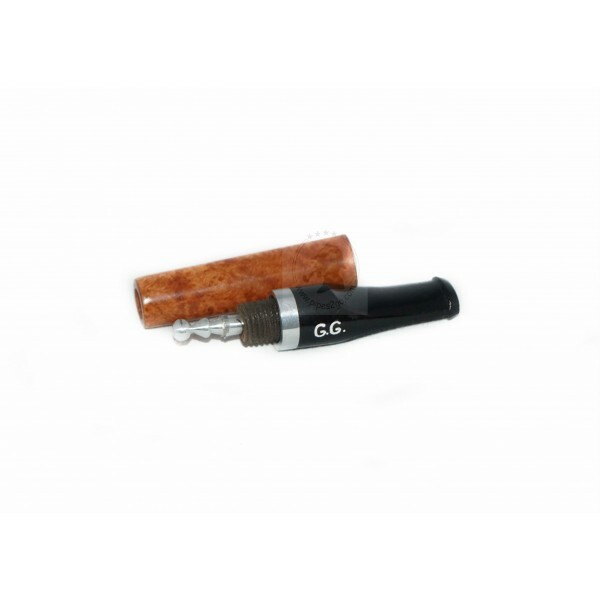 Moreover, this cigarette holder prevents your hands and fingers from becoming smoke stained. This holder accepts standard cigarettes such as the Marlboro, the Dunhill, etc. Bitte beachten Sie, dass Farbe und Schliff vom Bild variieren können. Jedes Teil ist handgemacht und kann somit geringfügige Abweichungen haben. Si prega di notare che il colore e la forma può variare leggermente dalla foto.